Which boat should you select for your sailing holiday? This article will help you think about the pros and cons of monohull yacht vs catamaran. The catamaran vs monohull decision depends on the type of sailing experience you want and who is coming along. 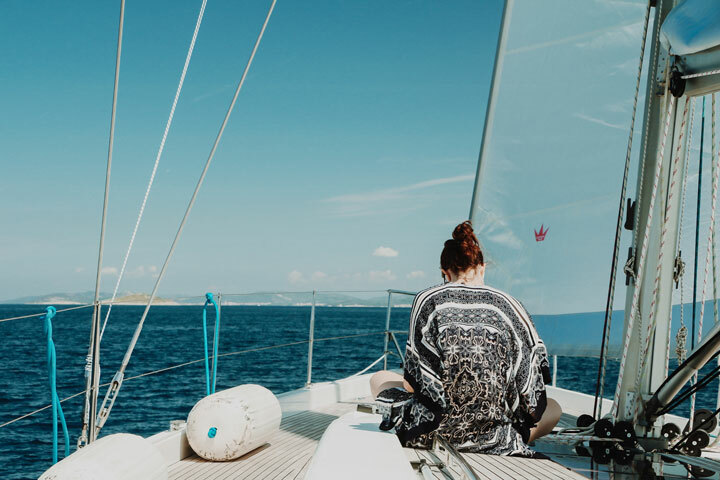 Due to their stability and space, catamarans are a sensible option for sailing with young children; with plenty of safe play areas skippers are happier to hoist the sails as catamarans rarely tilt at all. In contrast, monohulls can lean 20% or more when in full sail so the crew needs to be nimble. Do you want to stay off-grid? Given the extra room on-board a catamaran, they tend to more luxurious and come equipped with a higher spec. Everything is geared towards self-sufficiency so you can stay away from costly marinas/harbors for longer. This means being able to dive straight from the boat into clean seas. 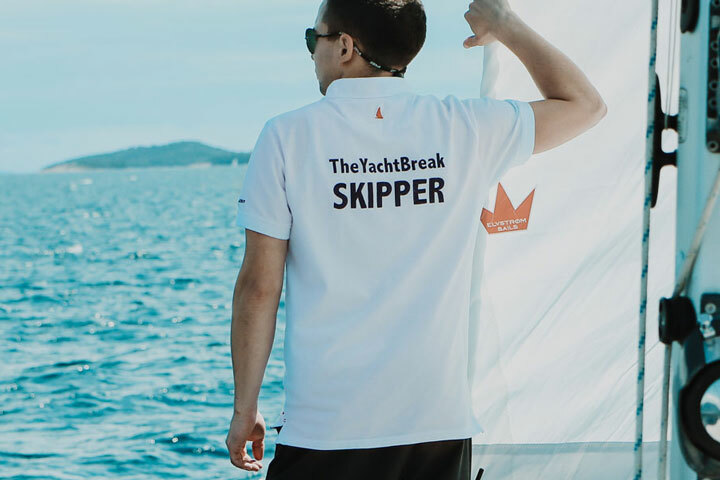 The tender on a catamaran is bigger and easier to transfer everyone to shore, so you can comfortably stay on a buoy where you can swim in the sea rather than mooring in a harbor or marina where it is too dirty for a dip. Monohull dinghies will be smaller, less powerful and more cumbersome to set up, so it gets towed behind the yacht. Even transferring just three adults to shore for a night out while trying to keep everyone dry can be a challenge! 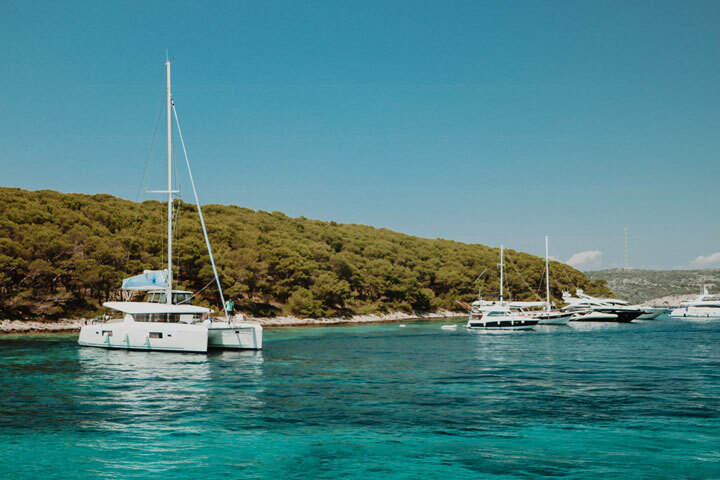 Catamarans are more likely to have inverters to keep sockets running when the generator is not, water distillers so you can top up your own tanks, and possibly even ice makers for the G&T. Catamaran vs monohull is akin to glamping vs camping! With all this equipment, a catamaran is heavier and need stronger winds before you unfurl the sails. If you visit in the summer months, winds on the Dalmatian coast are very light and much of your sailing will be on the engine. To experience the best sailing, plan a voyage in May or mid-September when winds are more reliable. 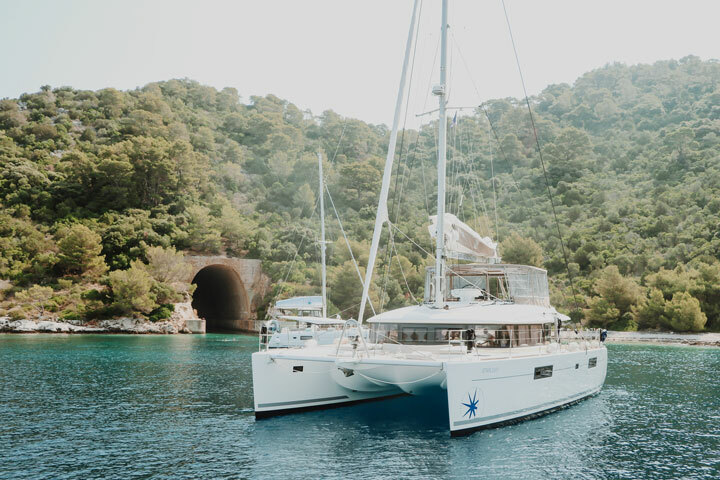 However, catamarans come with two engines and sit further out of the water so can get you around quicker without necessarily costing twice as much in fuel. What monohulls sacrifice in terms of space and luxury, they gain in true sailing potential and excitement. Do you want adrenaline or comfort? Monohulls are more achievable on a budget, they are cheaper to charter. Yachts also have significantly lower mooring fees in harbors and marinas. As they are smaller, it is easier to moor in a busy place… catamarans usually take up a double spot.